Wow! It's incredible! 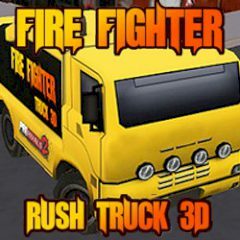 Cause in this game you are going to play as a fireman. Could you believe that? So, just drive your cool vehicle and be ready to extinguish the fire. As you have already understood, everything depends on you. So, just have much fun and be the real hero! Hurry up! There are a lot of fire! And you are the only one, who can do everything to save all the people and to extinguish the fire. Well, are you ready to put out the flames? Then just go to the place before the end of time. You will have to keep using your mouse to fire with a water pistol and do it really quick, cause every second is really important. Are you ready for such a cool challenging game, then do not waste your precious time and start the game immediately! Is everything clear? So, go ahead!